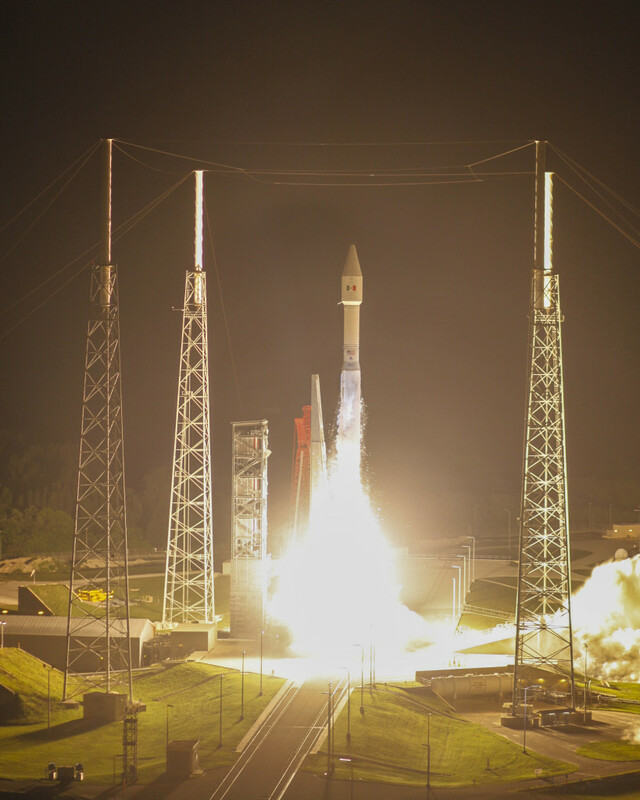 October 2, 2015 – United Launch Alliance (ULA) successfully launched its 100th mission today with an Atlas V rocket carrying the Morelos-3 satellite for Mexico’s Ministry of Communications and Transportation. The mission, procured for Mexico by Lockheed Martin Commercial Launch Services, launched at 6:28 a.m. EDT from Space Launch Complex-41. The capabilities of an integrated Mexsat system will enhance Mexico’s disaster relief efforts, emergency services, telemedicine, rural education and telecommunications access for populations in remote locations of Mexico. Support in these areas is instrumental to positioning the country for infrastructure maintainability and future growth. ULA’s next launch is an Atlas V rocket carrying a payload for the National Reconnaissance Office (NRO), scheduled for October 8 from Space Launch Complex-3 at Vandenberg Air Force Base, California.